I´m just using the picture of my daughter´s homework... rsrsr... It was in portuguese, so, of course, I changed it into English. 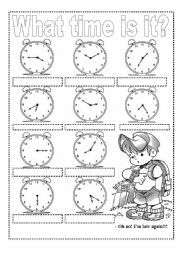 The second page has a cute craft clock. 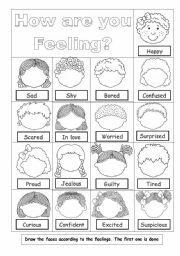 Students have to draw the faces according to the feelings. EDITABLE. Kisses from Brazil. I guess it can be used as a ws or a poster (it is EDITABLE). 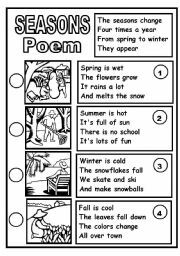 The poem is taken from http://www.associatedcontent.com/article/1163475/ childrens_poem_the_four_seasons.html And the pics from ´print artist´ pro. kisses from Brazil. 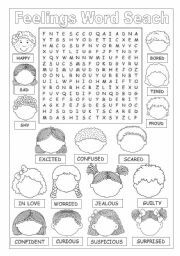 Students have to find the words and draw the faces. Kisses from Brazil. Cute poem to be used as notebook cover or poster. 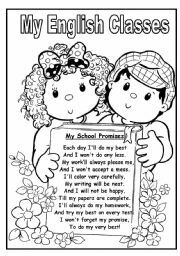 The second page has some writing activities (students own promises and "All About me" form. The poem is quoted as "unknown" author but I found it here: www.edison.edu/soar/soar20newslettermay09.pdf Picture from: "Coleção Pirulito" (Editable) Kisses from Brazil!! 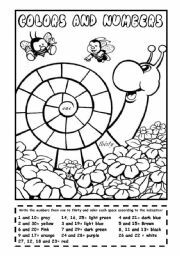 Simple worksheet where young learners have to write the numbers and color the snail. kisses from Brazil! 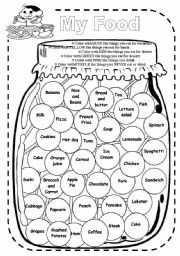 Very easy activity. 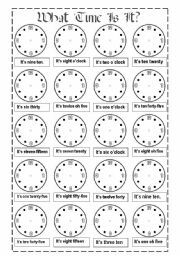 Students have to draw the hands of the clock. Editable.